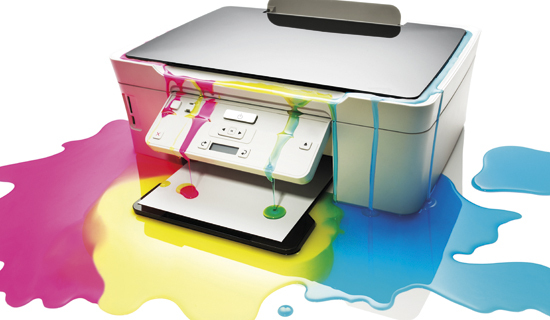 Desktop Printer Ink: The Priciest Liquid In The World? When it comes to small desktop printers, it’s no secret that most of the big-name companies make their profit from the ink, not the sale of the printer itself. We speak to customers everyday that go through boatloads of ink for their desktop printers, with no handle on how much they actually spend. Once their printer is out, they go into their supply closet, pull out a new ink cartridge, and hope that it isn’t expired. Then, it’s the dreaded time to re-order more ink, where they pray that their printer is still supported, and if it isn’t they are going to the store to buy a brand new device. It’s a very rough cycle. So we ask, why bother with desktop printers when you can save valuable time and $ with a Xerox multifunction printer? With a Xerox multifunction printer from Hamilton Digital, all of your supplies will come directly from Xerox. Instead of paying a large upfront fee for supplies, everything is included in an inexpensive cost-per-copy. Yep, even on-site service! We don’t like the idea of our customers waiting around to run out of supplies, then ordering them in a panic. We will make sure you have plenty of extra supplies at your location in case something needs to be replaced, or you can call our supplies hotline anytime and have them delivered in as soon as 3 business days, free of charge. So just how expensive is the ink that you’re buying for your desktop HP printer? You might be surprised. Check out the graphic below for a comparison of printer ink to other common liquids. If you already aren’t shocked by this information, imagine this: according to Consumer Reports over 50% or more of the ink you are spending your hard-earned $ on isn’t even making onto the paper when you print to desktop printers such as HPs. A large majority of this ink is used for other purposes, such as cleaning print heads. So what are you waiting for? Contact Hamilton Digital for a free assessment on how you can ditch your desktop printer and save $ today. What Exactly Does The Versant 80 Have To Offer?